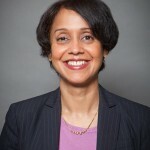 Monisha Coelho has extensive experience representing businesses in California and Mumbai, India. In California, she successfully handled a broad range of complex business litigation and class action cases in state and federal court. She represented clients in a variety of commercial matters and business disputes, including breach of contract, real estate, false claims act, construction defect, professional liability, insurance defense and shareholder/corporate cases. She has litigated ADA discrimination class actions in federal court. She was independently responsible for all aspects of litigation, including conducting extensive written and oral discovery, drafting complex pleadings and motions, retaining experts, handling pre-trial motions and procedures, attending high-stakes mediations and arbitrations, and arguing dispositive motions, in state and federal court.